These Animal Wall Plaque Printed Wall Decals are a perfect addition to a child's room or nursery. They may even inspire your child to become a hunter in the future! 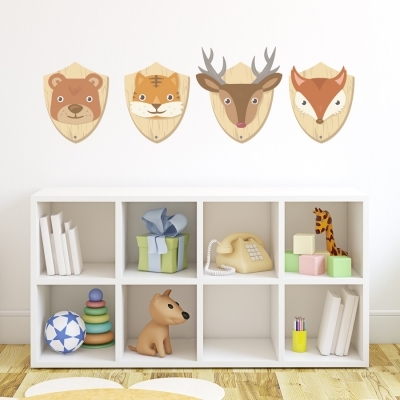 Each kit includes a bear, wild cat, fox and deer plaque. Each plaque is approximately 12" wide x 15" tall.